iTunes library is familiar with iOS users, and it has been used to store and manage media files, like music, movies, podcast, etc. 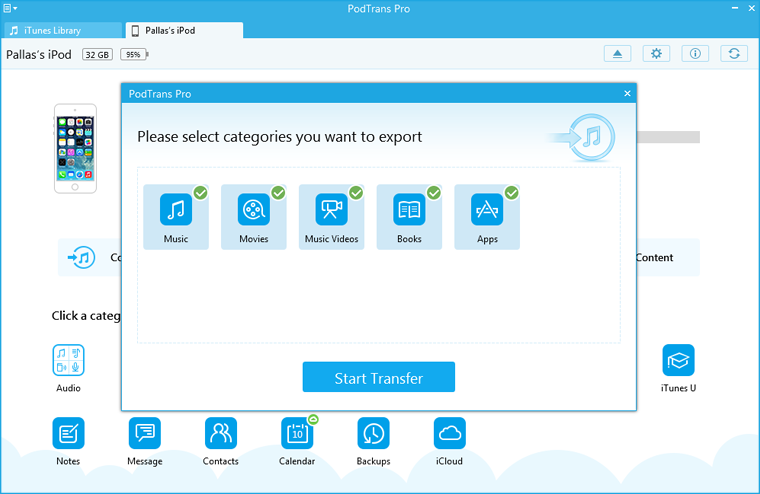 If your PC/ Mac suffered from a system crash, PodTrans Pro can help you rebuild your entire iTunes library from your iPod devices. Step 1: Launch PodTrans Pro and connect your iPod to the computer. 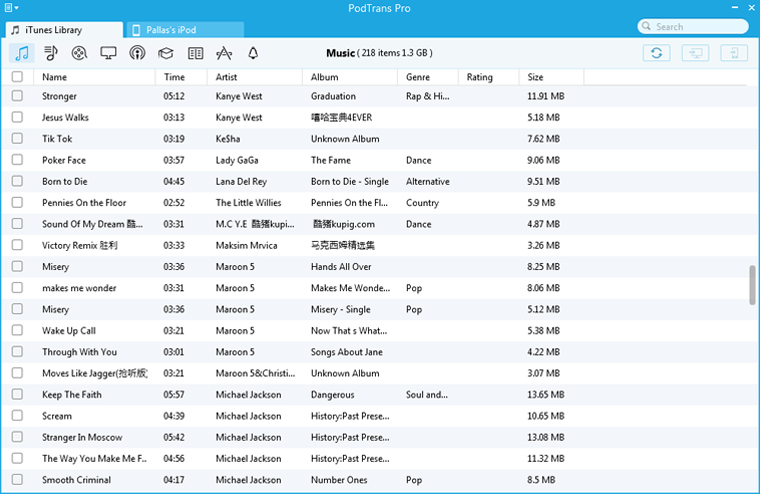 Then, choose "Content to iTunes" icon on this interface. Step 2: Pick the corresponding item you want to transfer, and click "Start Transfer" button to begin. 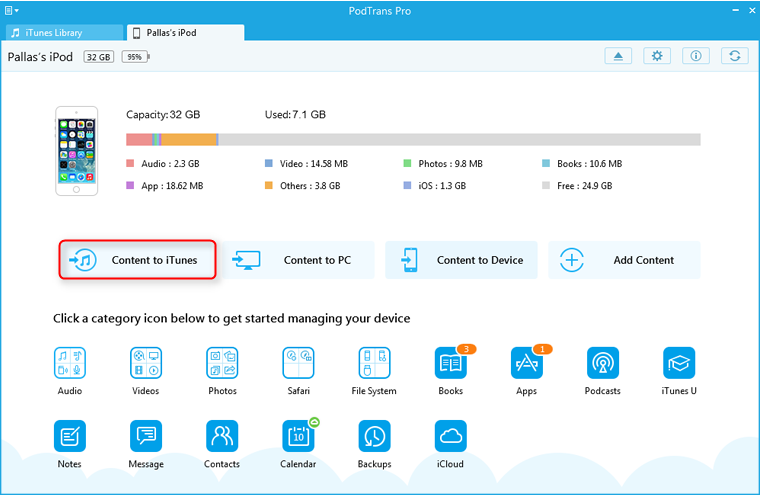 PodTrans Pro could backup all the items to iTunes, but it only shows the existing columns, because it will automatically identify the corresponding categories on your device. For example, if there is no podcast on your device, the podcast option won't be there. Step 3: If you want to make sure whether the items are transferred successfully or not, please click iTunes library column on the upper left side.